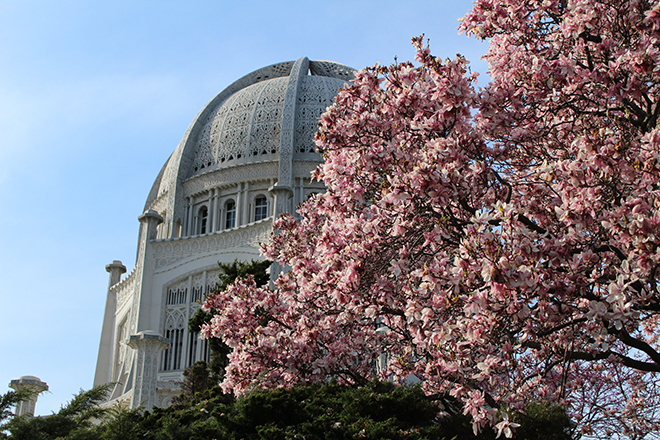 The Baha'i temple is one of the best flower havens near campus. 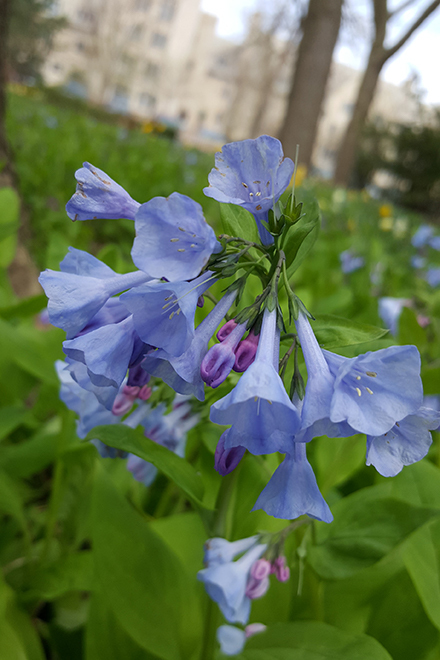 A walk to the Baha’i temple is always a great escape during finals week - you can find this flowers (any many others) lining the sidewalks as you walk north on Sheridan. 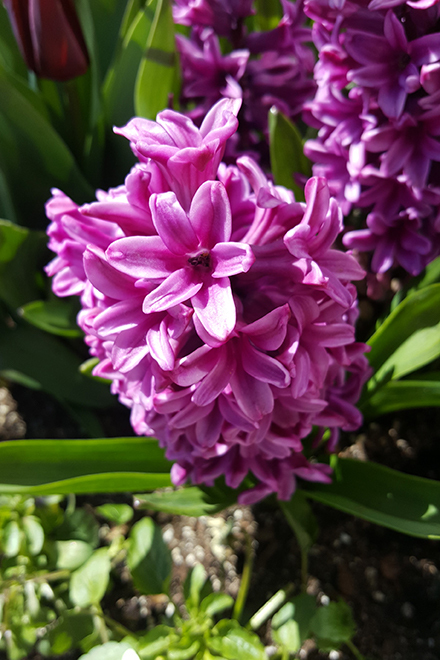 These big flowers are in a big circular planter in front of Fisk - take a quick walk down to the beach or along the path in the Centennial Park while you’re in the area! 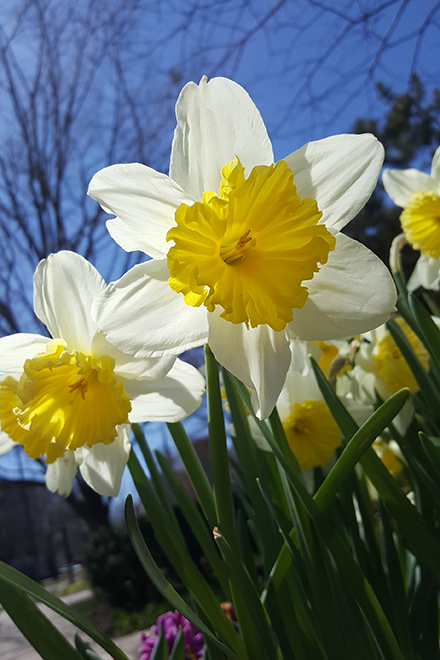 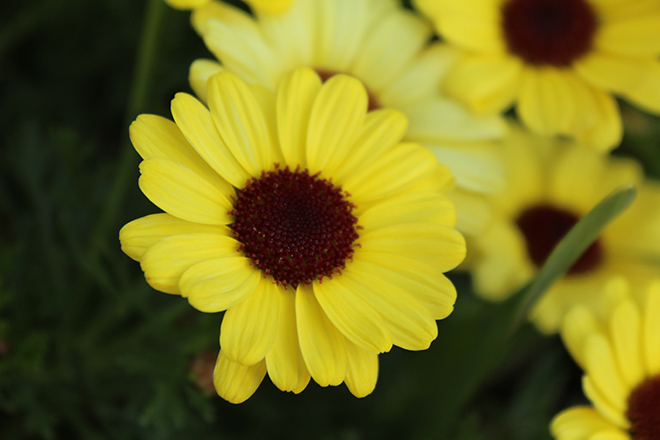 My memory is betraying me right now and I can’t remember where these are from, but take a walk any direction across campus and you’ll be sure to see some beautiful flowers sprouting.